Glasgow Labour MSP Anne McTaggart today attended an event hosted by the Cystic Fibrosis Trust in Belfast, which aims to send a united message to Prime Minister David Cameron on organ donation policy and call for ‘soft opt-out’ legislation to be introduced UK wide. 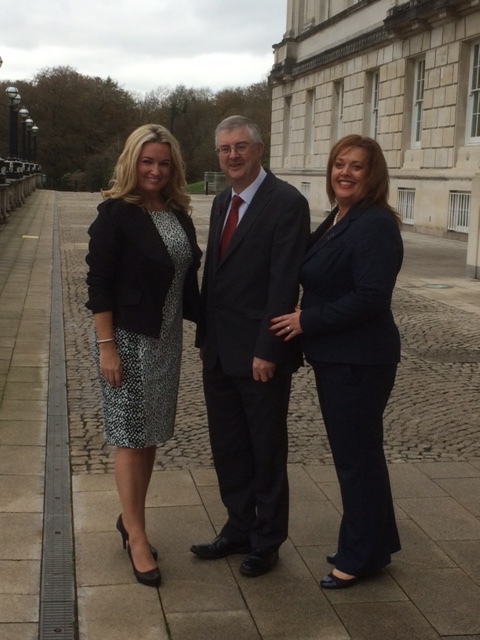 Ms McTaggart met with ministers and politicians at Stormont including Mark Drakeford AM, Minister for Health and Social Services at the Welsh Assembly, Jo-Anne Dobson MLA of the Northern Ireland Assembly, and leading clinical professionals to discuss the impact that organ donation reform would have on the rest of the UK. Figures announced at the event highlighted that while improvement has been made, the UK still has one of the lowest family authorisation rates in Europe at 59 per cent. The Welsh Assembly has already legislated for a ‘soft opt-out’ system, which will come into force in December 2015. Both Anne McTaggart and Jo-Anne Dobson are proposing similar legislation in Scotland and Northern Ireland respectively. The public consultation on Ms McTaggart’s proposed bill closed last week and the responses are currently being studied. “I’m delighted to be in Belfast today to meet with my parliamentary colleagues from across the UK to discuss the vitally important issue of organ donation reform. What is clear is that we are united in our desire to save people’s lives through the introduction of a ‘soft opt-out’ system of organ donation. “It has been really encouraging for me personally to be able to hear both Jo-Anne Dobson and Mark Drakeford speak so passionately about the issue. The National Assembly for Wales has been a leader on this topic so it’s invaluable to be able to hear from Mark. In addition, Jo-Anne has a very personal and moving story behind her desire to see organ donation reform which really brings home the necessity of legislation. It’s important to learn from each other’s experiences as there are people across the UK who are depending upon this legislation being successful. “Sadly one in three people with cystic fibrosis who need a lung transplant will die on the waiting list which is why the Trust is campaigning for a change in transplantation guidelines. This vital event shows that we are one step closer to making soft opt-out a reality across the UK. “This is an historic occasion and it is with immense pride that I host Minister Drakeford AM and Anne McTaggart MSP, along with leading clinical professionals at Stormont. Together we will be representing the three regions of the United Kingdom who are moving toward a soft opt-out system. “Organ donation is an issue which leaves few lives untouched and one which has touched my family. I know how organ donation saved my son’s life and that’s why I passionately believe in making donation the norm in our society, rather than the exception. “I am progressing an organ donation Bill at Stormont which has family consent embedded at its very heart. Having that conversation with your loved ones, and making them aware of your wishes is the best of ensuring that they are honoured. “From December 1, 2015, Wales will become the first country in the UK to introduce an opt-out system for organ donation. This is an important piece of legislation, which will affect nearly every adult in Wales and has the ability to save and transform nearly 50 lives a year. This entry was posted in Uncategorized and tagged organ donation. Bookmark the permalink.